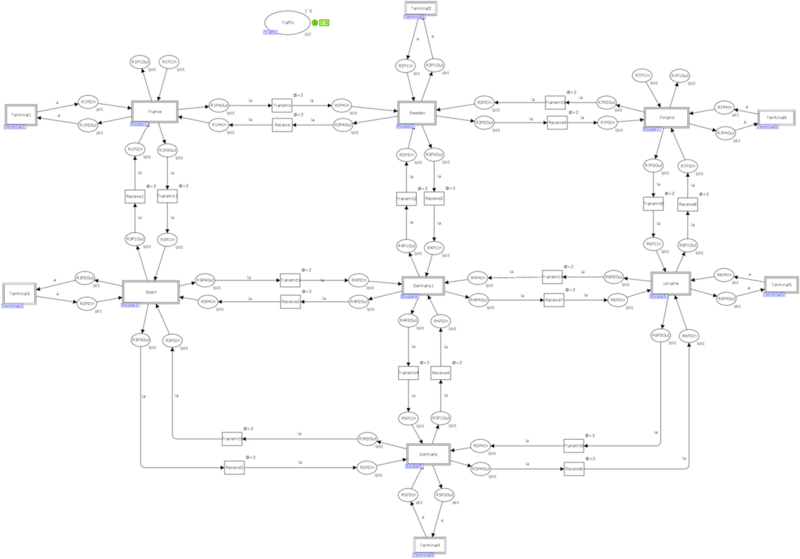 The model of a given MPLS network is composed of submodels of LSR/LER routers and terminal (customer) networks for generating traffic. Static FEC/LSP allocation and label switching tables are used. See also the model IP Network. The model is used for the performance evaluation of MPLS networks especially comparing IP networks as well as for the debugging label switching tables. It could be employed in the automated design of MPLS networks. A case study is provided on the example of European backbone network.